Overall, it was a good outing as we managed to play two quality matches and size up the China team. 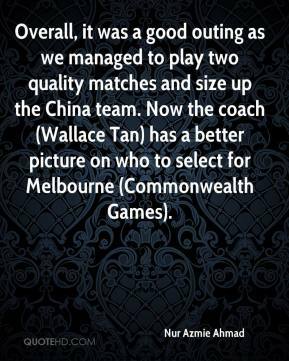 Now the coach (Wallace Tan) has a better picture on who to select for Melbourne (Commonwealth Games). 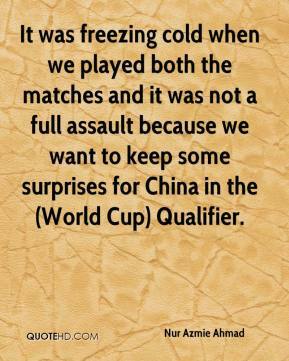 It was freezing cold when we played both the matches and it was not a full assault because we want to keep some surprises for China in the (World Cup) Qualifier.